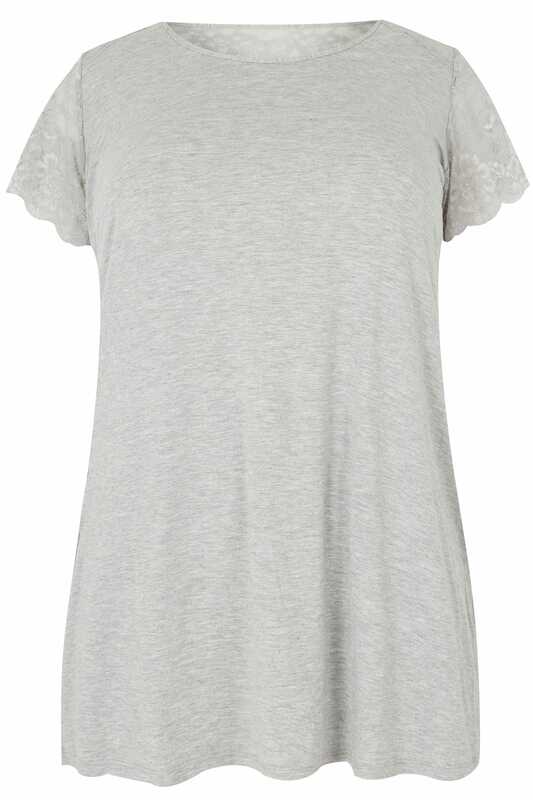 Sit back in style with this top from our loungewear collection. 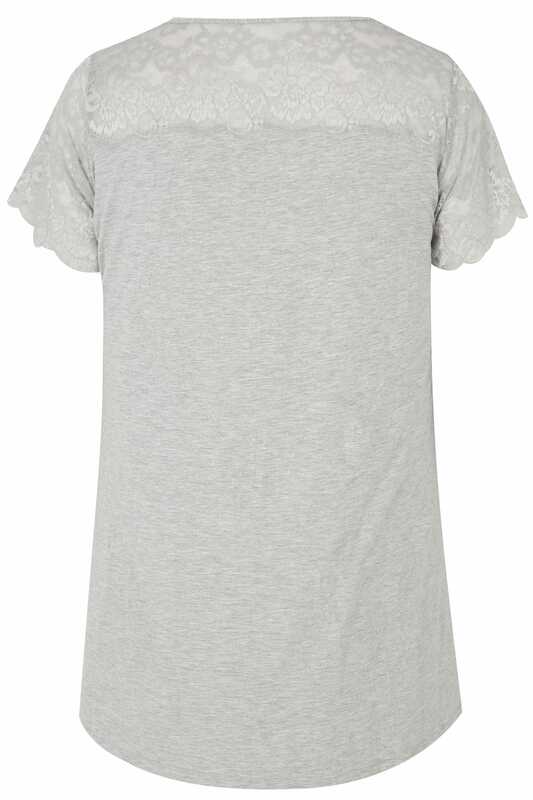 Ensuring comfort with a soft touch jersey fabric, it exudes feminine appeal with lace detailing across the shoulders and finishes with a simple scooped neckline and short sleeves with a scalloped trim. In a soft grey hue, the floral lace is perfect for adding a touch of feminine charm to your around-the-house line-up.